It was 100% the look/packaging of this KA Neo-Bronzer Face Palette that first drew me in and made me want to test it out. In fact, I reviewed it and used it in a tutorial last year because it quickly became a regular cheek color that I used last summer. Since then, I have not had the chance to test out the other two launches with a similar look to this bronzer, but was thrilled to finally do so when Kevyn Aucoin sent over this new set. You can't see from the above picture, but all three are magnetized so they stick together or can be pulled apart as I have shown. The bronzer shade is more of a cheek color for me since it has a great deal of orange/pink in it and was wayyyyy too dark when worn over my entire face. However, as I showed in this video, it really shocked me by how easily it applied, didn't oxidize and gave a gorgeous peachy flush to the cheeks. 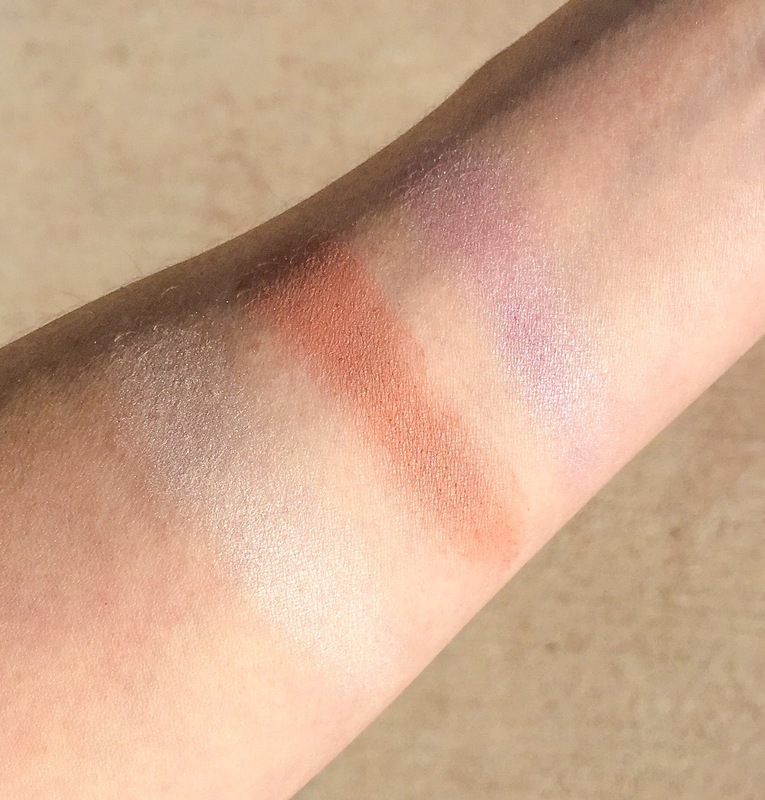 The Neo-Limelight Palette (purple ombre one) is stunning in theory and has a gorgeous texture, but the iridescent/opalescent look wasn't my favorite. I could apply it with a light enough hand that the multi-dimensional glow was minimal but then what is the point, ya know? The third powder in the set, the Neo-Setting Powder, is made for dusting all over the face or using as a highlight and was definitely more suited to my tastes. Though there is a slight sheen to the powder, I was able to dust it around my face without looking like a discoball. However, if you have more oily skin, I am not sure it would be best used all over but rather concentrated as a highlighter. That being said, when used as a highlighter it is incredibly subtle and perfect for using everyday. Sadly though, it may not be suited for all skin tones because of it's super pale/whitish pigmentation. 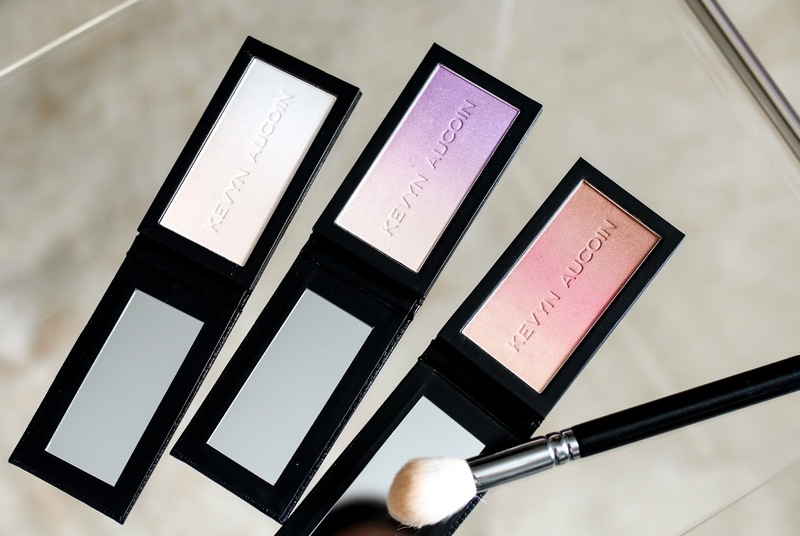 The formulation of all three powders is what I expect from Kevyn Aucoin beauty - blendable and incredibly smooth. For me, the Neo-Limelight Palette wasn't something I would use regularly, but I will say that I have seen soooo many positive reviews on it from other bloggers and people on Instagram which is worth mentioning since I think many of you would still enjoy it. The bronzer and finishing powder are both products that can easily be added into a daily routine and wear beautifully on the skin. The whole set retails for $58.